1. They lay really, really big eggs. Kiwi eggs can weigh up to one quarter of an adult bird’s body mass. To give you some perspective on that number, the average American woman weighs 166 pounds—if she gave birth to a kiwi-sized baby, it would weigh just over 40 pounds as a newborn. 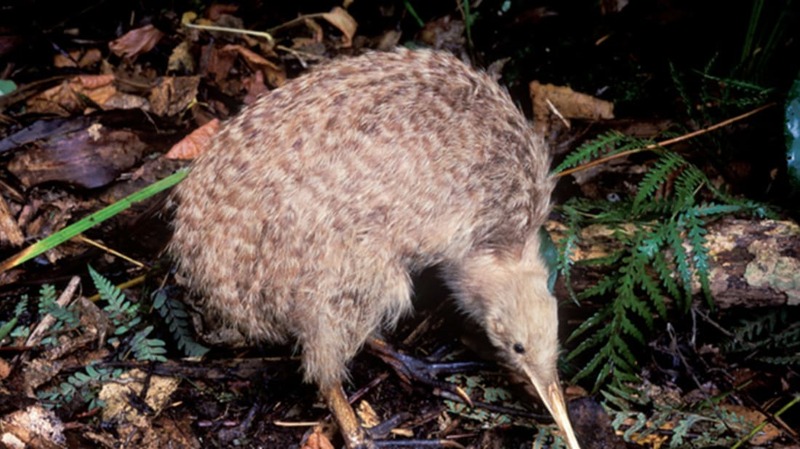 By proportion, the kiwi lays the largest eggs of any bird in the world. Like their relative the ostrich, kiwis are flightless birds belonging to a group called ratites. 3. Like Bruce Springsteen, they’re born to run. As Audobon magazine wrote of the advantages of the bird’s obscenely large progeny, “the giant egg means that kiwi chicks hatch pretty much ready to run, with a belly full of yolk that they can live off of for their first two and a half weeks of life.” If only human babies were that self-sufficient. Kiwis are so unlike other birds that some biologists call them “honorary mammals.” They have several mammal-like qualities, including feathers that feel more like hair, heavy bones with marrow, and strong legs for running. The only real mammals native to New Zealand are bats—many of the country’s contemporary mammalian residents were introduced over the course of European settlement in the 1800s (though rats, capable sailors that they are, came over much earlier). Kiwis don’t have great eyesight. Though the birds are nocturnal, they can’t see very well in the dark. Instead, they rely on other senses to hunt. 6. … But they have a great sense of smell. A new study of kiwi genetics by German researchers finds that the bird has a more diverse set of odor receptors than other birds, but several genes normally involved in color vision are inactive, explaining why they rely more on scent than sight. 7. They have weird nostrils (for a bird). Most birds have nostrils at the base of their beak, near their head. But kiwis have them at the tip of their nose, like most mammals. They use their long sniffers to locate worms and other bugs within soil. When their nose fails them, kiwis also have long, cat-like whiskers to help them navigate dark conditions and find food on the forest floor. 9. They live for a long time. Baby kiwis take anywhere from three to five years to grow to their adult size. The birds can live to be 25 to 50 years old. 10. They’re being eaten by dogs. There are about 70,000 kiwis left in New Zealand. The government of New Zealand estimates that the population decreases at a rate of about 27 kiwis per week. Dogs, cats, ferrets, and stoats kill them, and rats compete for food with them. Only 5 percent of kiwis hatched in the wild will make it to adulthood. 11. They’re an emblem of New Zealand. During the mid-1800s, New Zealanders adopted the bird as the country’s de facto mascot. Its image appeared on trademarks for medicine, insurance, universities, stamps, military badges, and on currency. By the end of the first world war, the term became a nickname for troops from New Zealand, and later for the population at large. The term is also synonymous with the New Zealand dollar.